How Big Brands Boost Their Instagram Fanbase By Millions? Big brands like Nike, Victoria’s Secret, GoPro and Starbucks have been boosting its Instagram fanbase by millions of followers using branded videos. Reserving your lunch or dinner, and a nice bottle of wine? 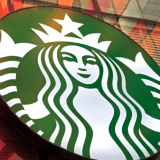 Believe it or not, but that’s now possible for Starbucks customers in the US. We took a look at the coffee giant’s new business and marketing strategy.